A lot has happened in my life over the past two months. After waiting for over a year, I have finally advanced my career and moved to Atlanta just two weeks ago where I am officially settled in now! Loving the food here and especially the people! After having lived in Oklahoma for over eight years, I was quite certain that I will never meet anyone nicer than an Oklahoman. Georgia gives "nice" a whole new meaning! Everyone I've met here is a Paula Deen in some form or another! Nana has also been on my mind over the past month. For those who don't know who Nana is; she's the flower of my life. She is my grandmother who has raised me as a child alongside my mother and who inspired me to cook. If it weren't for Nana I would not have this blog today. She had a brain aneurysm that raptured and was rushed to a hospital in Damascus, Syria which is an hour and a half away from my hometown. She is a survivor! She woke up from her coma about two weeks ago and is slowly recovering now. She has not been able to walk yet and speaks very little, but I am thankful beyond imagination that she is still with us today. I can't wait to go and see her when the dust settles in Syria. In the meantime, I will continue to share her spirit and love through my recipes that were inspired by her. Today I wanted to share with you one of my favorite recipes. It is an appetizer only found in the Levant region. 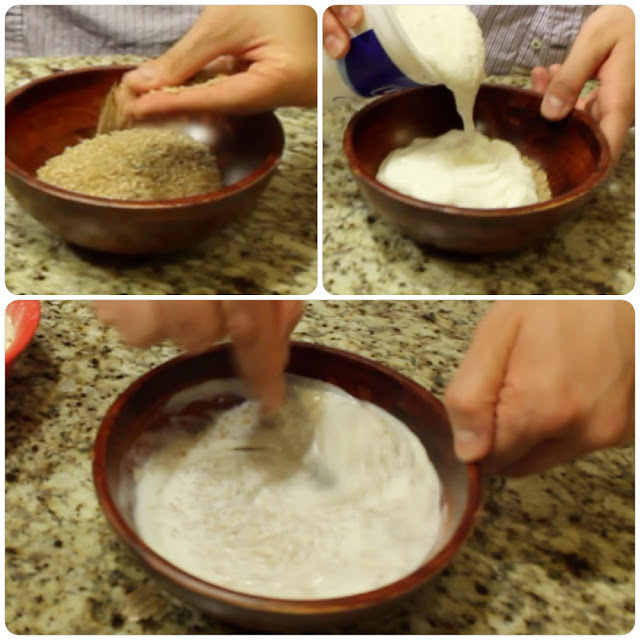 Kishik is a powdery cereal of cracked wheat fermented with yogurt. It is easily stored and is valuable to the winter diet. The cracked wheat and yogurt are mixed well together and allowed to ferment for around ten days. Each morning the mixture is thoroughly kneaded with the hands. When fermentation is complete the kishk is spread on a clean cloth to dry. Finally it is rubbed well between the hands until it is reduced to a powder and then stored in a dry place. I hope you enjoy my video and recipe! - Mix the ingredients together. - Allow to sit for at least 3 days. - Keep checking to see if the wheat absorbed all the yogurt as you might need to add more yogurt. - Prepare big sheets of cheese cloth and lay on a big piece of cardboard or even your dinning table if you could do without it for 10 days. 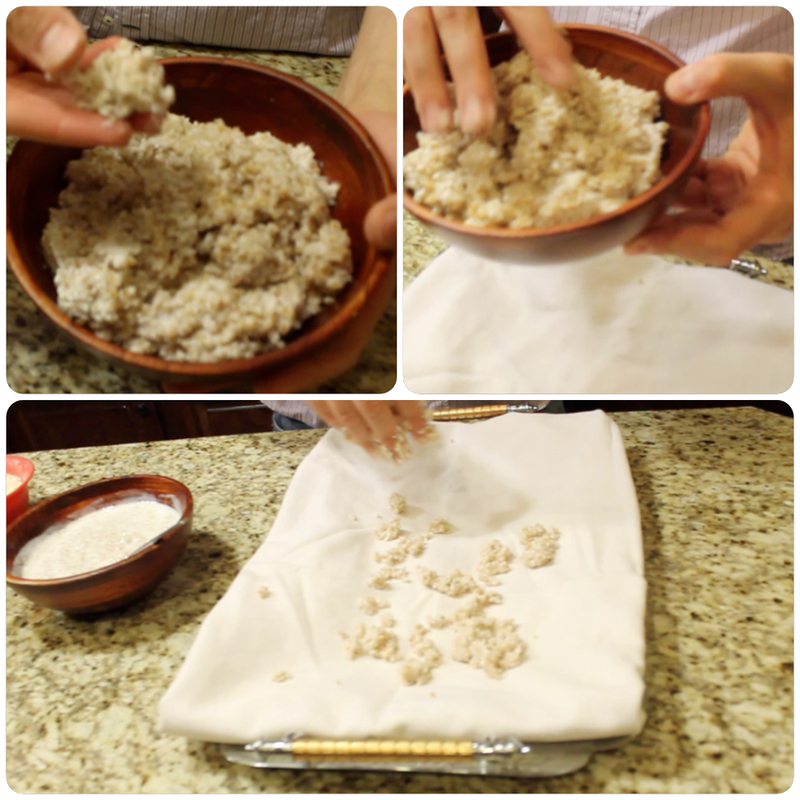 - Spread the mix over the cloth by grabbing a handful at a time and squeezing on top of the cloth so that the mix seeps from between your fingers. This separates the mixture and helps spread it. - Make sure the mixture is in a very dry area and exposed to sunlight. - Check on the mixture every day and knead with your hands until the mixture becomes totally dry and grainy towards the end. - When it is completely dry, place in a food processor and transform into a powder. - Store in a sealed glass jar.